APRIL COTTAGE SPECIAL – STAY ANY TWO NIGHTS IN A COTTAGE DURING APRIL 2019 AND GET THE THIRD NIGHT FREE. ENTER PROMO CODE SPRING WHEN BOOKING ON OUR SITE OR CALL/TEXT US 845-663-8152. 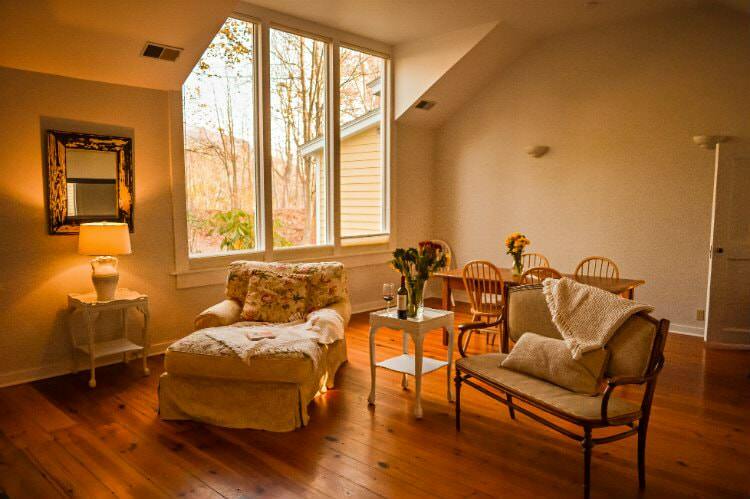 Experience the privacy of a beautiful Catskill cottage while appreciating the benefits of staying at our boutique hotel near Woodstock, NY. Our stand-alone luxury cabins feature state-of-the art kitchens, comfortable living rooms and sumptuous bedrooms and baths, which are fully stocked with Aveda products. They are perfect accommodations for families seeking an adventurous vacation, guests who want more space than a traditional hotel room or couples traveling together. 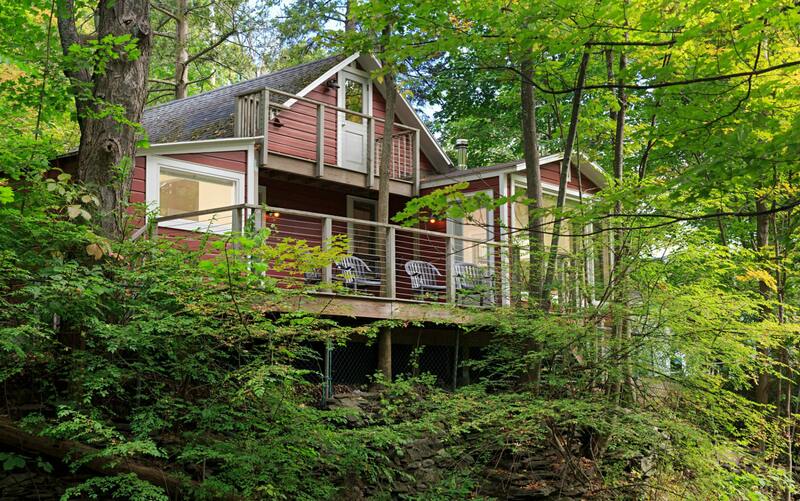 All cottage reservations include access to the private grounds, the stream and gardens at the inn and each includes ample opportunities to enjoy the beautiful outdoors on site. 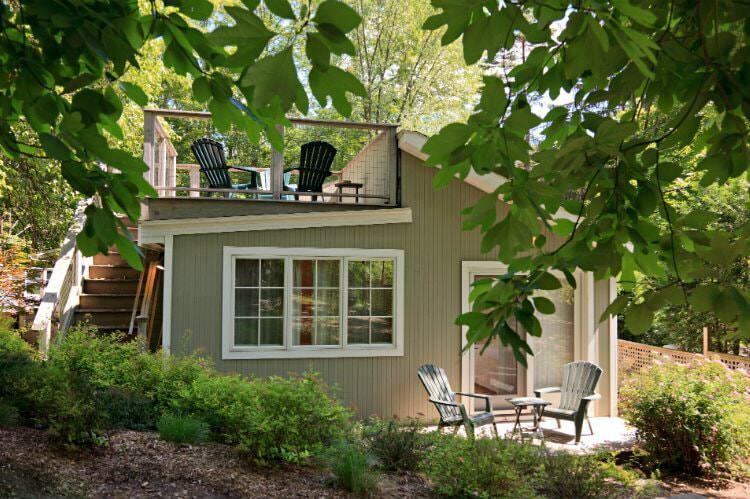 Brookside Bungalow overlooks historic Tannery Brook, with two huge decks, while the Corner Cottage is tucked into a tree-filled property with a rooftop deck. 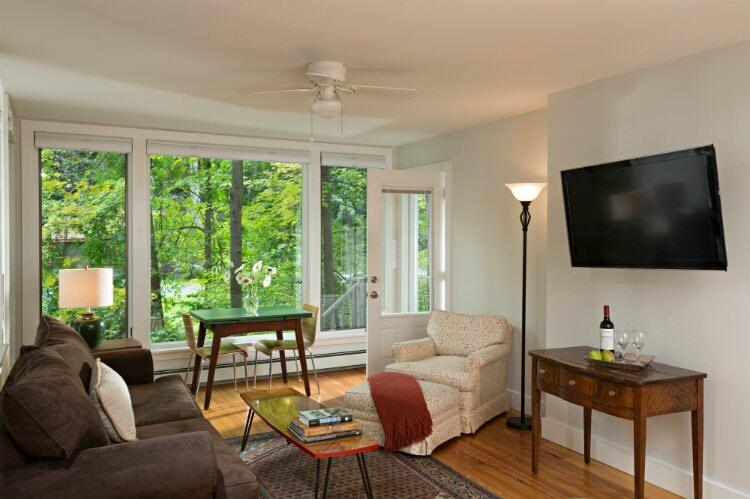 The gracious Hillcrest House boasts an outdoor dining area/deck off the breakfast room while the bluestone patio with Adirondack chairs is perfect for morning coffee or afternoon drinks. Each property has a full kitchen and some a barbecue grill. (Please note, because of the convenience of each cottage’s fully-equipped kitchen, breakfast at the Inn is not included with cottage stays.) All properties are just a short walk to town, offering easy access to Woodstock’s shops, galleries and restaurants. Remember: There’s never an additional cleaning fee when you stay with us.